Our region is experiencing a momentous transition. The US-led order is fading, and China has become ever more powerful. Today the question we face is not whether we fancy living in an Asia in which power is shared between the United States and China. It is how we feel about living in an Asia in which America no longer plays any significant strategic role. In this controversial and gripping essay, Hugh White looks at what has happened to the US globally. He considers China's growing assertiveness in our region. He dissects the leadership of Donald Trump. He analyses what all of this means for Australia, looking at marines in Darwin, the Asian Infrastructure Investment Bank, the role of Japan, fears of Chinese interference, and more. Above all, he asks: where is this heading? How do we feel about living in a new Asia, and how best to navigate a changed world? 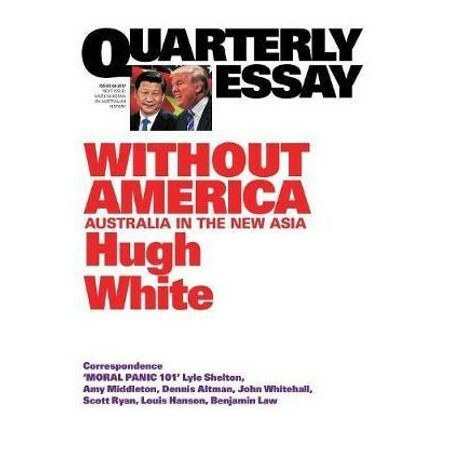 Hugh White is the author of The China Choice: Why America Should Share Power and Quarterly Essay 39 Power Shift: Australia's Future between Washington and Beijing. He is a professor of strategic studies at ANU and has been an intelligence analyst with the Office of National Assessments, a journalist with the Sydney Morning Herald, a senior adviser to Defence Minister Kim Beazley and Prime Minister Bob Hawke, and a senior official in the Department of Defence, where from 1995 to 2000 he was deputy secretary for strategy and intelligence and co-author of Australia's Defence White Paper 2000.